You know what many 20’s to 30’s Japanese women are into?? Brad Pitt? Hello Kitty? Mmm…not quite right! 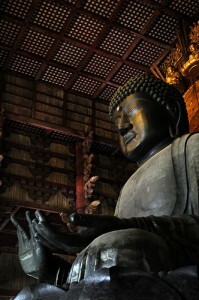 Actually, they are into the statues of the Buddha, Butsuzou in Japanese!! So those women are called “Butsuzou Girls”. Since about 2005, a lot of young visitors were seen at Butsuzou exhibitions. 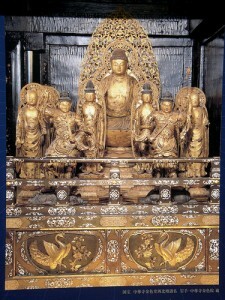 The books of Butsuzou are additionally reprinted for the fans, and the participants for Butsuzou lectures are increasing. Why Butsuzou became so popular among young people? Some Butsuzou specialists believe that because today’s Japan is getting westernized, the art form of Japan seem fresh and cool to the young Japanese people. Japanese Cool Designed OFUDA (GOFU)!! !